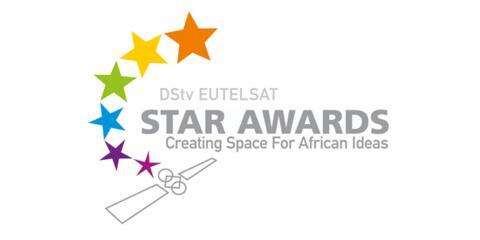 Johannesburg, Lagos, Paris, 19 January 2016 – Nearly 6,000 secondary school students have entered the DStv Eutelsat Star Awards competition since it was established by Eutelsat and MultiChoice Africa in 2011. The sixth edition shows sustained interest from African learners aged 14 to 19, adding fresh impetus to the mission shared by MultiChoice and Eutelsat to encourage young minds to positively change their world via innovative thinking in science and technology. The essay, poster winners and runners-up of this year’s edition will be revealed at a ceremony to be held in Lagos, Nigeria, on 7 February. A former astronaut and French Minister, now special advisor to European Space Agency’s (ESA) Director General, Claudie Haigneré has accepted to chair the prestigious Jury of the DStv Eutelsat Star Awards. It is the first time a woman takes on this assignment, acting as a strong incentive for students dreaming big, especially young women, to live up to their full potential. Claudie Haigneré will preside over an international panel of skilled industry experts, alongside government and academic world members: Ronke Bello, CEO at Innovative Technology Literacy Services Ltd (Nigeria), Rodney Benn, Regional Director for Africa at Eutelsat, Melt Loubser, GM: Broadcast Technology MultiChoice Africa, Elizabeth Ohene, journalist and former Minister of State to the Ministry of Education, Science and Sports (Ghana), Prof. Stephen Simukanga, Former University of Zambia Chancellor and now Director General of the Higher Education Authority, John Ugbe, Managing Director: MultiChoice Nigeria and Jenerali Ulimwengu, well known writer, columnist and lawyer (Tanzania). High-standards of accuracy, creativity, originality and innovation will guide the jury’s decision on the best essay and poster. This year’s topic pushed students to envision the role played by satellite technology in the Africa of the future. The academic and career paths of previous winners prove that embracing science and technology fields is a source of inspiration that can unlock opportunities for Africa. To name a few, 2014 Zimbabwean essay winner Joseph Mahiya is currently enrolled in a programme run by the Mastercard Foundation. The scholarship is for an undergraduate degree in Computer Science with Software Engineering as well as Electrical Engineering starting August 2017 at West Virginia University in the USA. Eva Chemgorem, the 2012 poster winner is studying for a Bachelor of Science in Economics at Daystar University, Nairobi and will soon pursue a minor in International Relations. She hopes to use her education to shape policy and economic development in Kenya and the rest of world. Who will follow in their footsteps? Next winners to be revealed on 7 February! Now special advisor to ESA’s Director General, Claudie Haigneré began her career in the medical field as a renowned rheumatologist and researcher in biomechanics and physiology of movement. After a PhD thesis in neurology, she joined the European astronaut programme and flew on Russia’s Mir space station for 16 days in 1996. In 2001, she went back into space and was the first European woman to fly on the ISS (International Space Station). From 2002 to 2004, she was Minister delegate for Research and New Technologies in the French government, and became Minister delegate for European Affairs the following year. 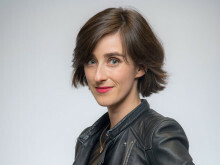 Since then she has also been an administrator of Universcience (representing the Palais de la Découverte and the Cité des sciences et de l’industrie in Paris), in addition to her activities for ESA.